Amazon Kindle Fire offers a 7" multi-touch display with 1024 x 600 pixel resolution at 169 ppi, 16 million colors. But this great Amazon Kindle Fire can only play videos in MP4, H.264 video codec, 854*480 resolution, 30fps, 2000 kbps bitrate, VP8 file formats, and music in AAC, MP3, MIDI, OGG, WAV, etc format. So is there any way to put MTS files on Kindle Fire for playing? It is very easy to convert AVCHD camcorder MTS/M2TS to Kindle Fire with iFunia Video Converter for Mac. To install it, simply mount the .dmg archive by double-clicking it, and copy the application to your applications folder (or wherever you want). Drag MTS/M2TS files to this Kindle Fire Video Converter for Mac or click the Media Browser icon at the upper right corner to import AVCHD MTS/M2TS files. If you wanna combine these MTS files into one file, simply tick the checkbox for Merge into one file next to the edit button, and the MTS joiner will merge the video clips according to the ranking order on the file list. 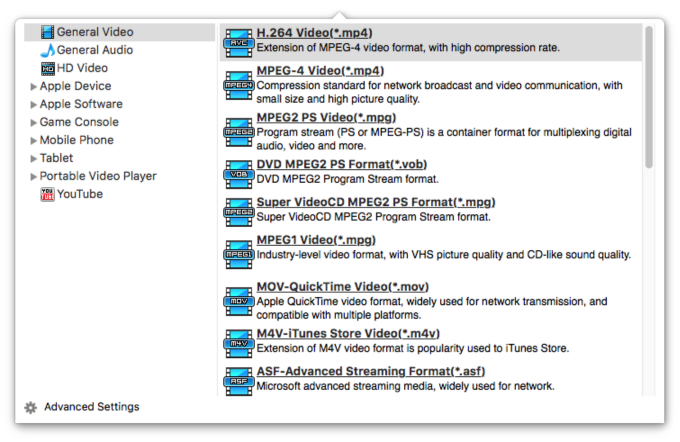 Choose MPEG - 4 Video (*.mp4) to be the output format. The MP4 format has been tested and proved to be a best format for Kindle Fire video playback. The video/audio settings will be adjusted automatically. You can also set your own parameters as you need. Click the conversion button to begin MTS/M2TS to Kindle Fire video conversion. The converting progress bar shows you how much of the encoding is completed. After the process to convert MTS to MP4 is finished, connect Kindle Fire to computer and transfer the MTS video to Kindle Fire. Hope you enjoy the steps above for converting MTS to Kindle Fire.